"If you love 'Breaking Bad,' you're going to get to see that world expand a bit," Bob Odenkirk, who plays Saul Goodman, said at the panel in San Diego. "You're going to meet people who were referenced in 'Breaking Bad' who you've never met, but you heard their name." 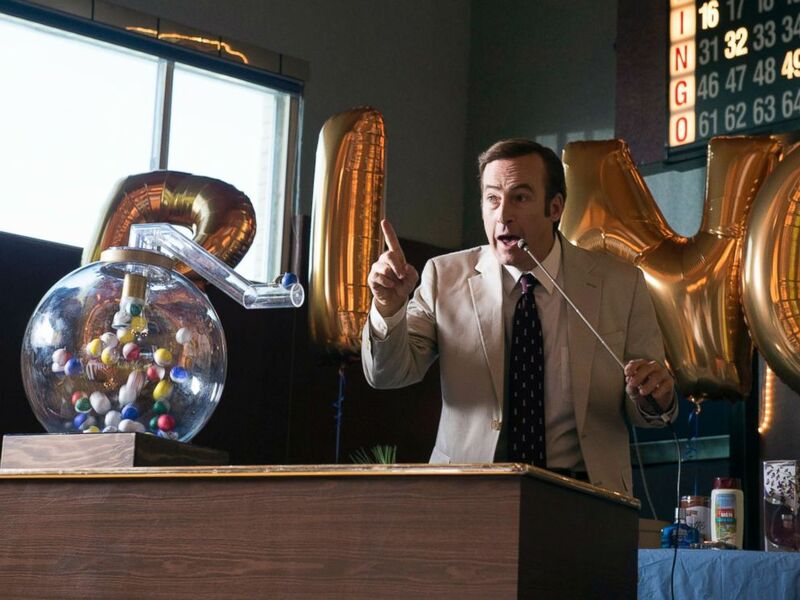 Bob Odenkirk appears in a scene from "Better Call Saul." Just don't expect to see Walter and protege Jesse Pinkman make an appearance this season. "Not to be a downer; we just hate jerking folks around," Vince Gilligan, who created both shows, said on the panel. "But I would suspect that we would be sorely remiss if these characters didn't appear on the show before it ended." In the meantime, fans got a taste when Bryan Cranston, who played high school chemistry teacher-turned meth kingpin Walter White, and Aaron Paul, who played White's former student-turned fellow meth cook, Jesse Pinkman, joined Gilligan at a separate panel to celebrate the show's anniversary. Cranston told the crowd he is hesitant to revisit the critically acclaimed series, which ended in September 2013 after five seasons and a truckload of Emmys and other awards. 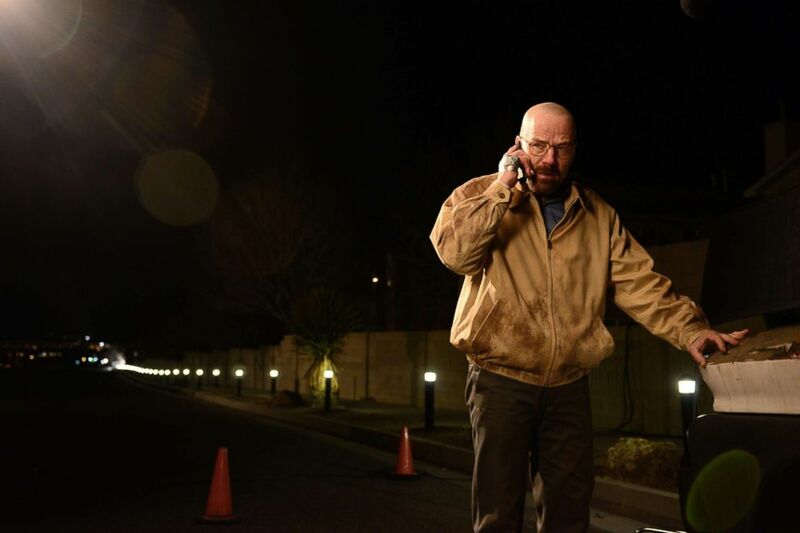 Bryan Cranston plays Walter White in the fifth-season episode of "Breaking Bad." "We're all very proud of our show and I think in some ways it's best to leave it alone," he said. "You want to think back on it favorably and say, ‘I don't want to mess with it.’"
Asked if they would ever consider a "Breaking Bad" movie, Cranston had a firm answer: "No." But Gilligan was less adamant, saying, "anything is possible." Meanwhile, Paul's 5-month-old daughter Story Annabelle Paul nearly upstaged everyone when she appeared with her proud papa wearing a yellow hazmat suit and respirator mask in honor of the show's 10th anniversary. "Better Call Saul" returns to AMC Aug. 6.